Bags are valuable accessories for any woman with an eye for elegance and style. Just like with scarves and earrings, women like to match their bag to their outfit, whether this refers to color, style or both. But who can afford so many bags? You want a black one, a brown one, a red one and much more. You need bags for your elegant suits that you wear when you have to attend business meetings; others for your office outfits; others for going out in town with friends and the list can go on. Can you really buy them all? Unless you are filthy rich, the idea of turning to fake bags as a solution for your wish to remain trendy has certainly popped into your head. The question is: are fake bags a good alternative? The answer to this dilemma is never easy, and actually depends on your priorities and on your ability to compromise. On one hand, luxury bags bear the signature of famous designers and fashion houses, and this comes as a warranty for quality and style. A genuine bag’s design is the result of years of fashion tradition and close connection with women who wear these products. Only high end materials are used for manufacturing authentic designers’ bags. This is, of course, reflected in the price, but also in the way you feel when accessorizing your outfit with a Fendi, Louis Vuitton or Gucci bag. These fashion items have the ability to make you feel really special and this is something no one can fake. Knowing that you are wearing a designer’s bag can work wonders for your self-esteem and pride, hence your image as a confident woman who knows what she wants will improve. On the other hand, it is but natural to feel tempted to buy a replica bag from online knock off store, two, or even more. Don’t worry, you are not the only one. There have been cases when even the celebrities were caught wearing replica bags. Why you would resort to a fake bag? Because they are at least ten times cheaper than the real thing and they look exactly the same. Well, almost the same, but nobody will inspect it with a magnifying glass, and even if they did, most people won’t be able to tell the difference between a fake bag and a high quality imitation. 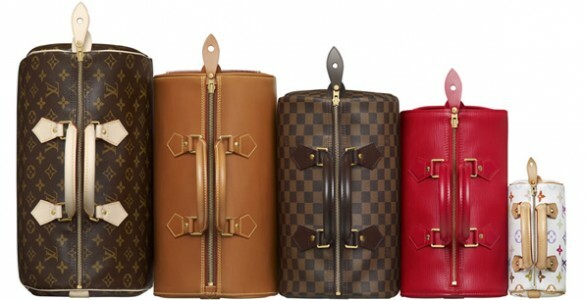 Moreover, when buying replica bags, you can have a new one (and even more) each season and this way stay trendy. If you like a certain model particularly, you can go for it in as many colors as you wish. Whether you decide to buy replica or authentic bags, it is up to you. Each of the options comes with its own advantages, and you have to decide which aspect is more important to you. While a genuine designer’s bag will provide you with quality and a great feeling, replica bags come cheap and with a wardrobe renewal option.